Metalogix provides content infrastructure software to improve the use and performance of SharePoint. More than 14,000 customers rely on the company’s products to upgrade, migrate, organize, store, archive and replicate content on Microsoft SharePoint, Exchange and Cloud platforms. Content Matrix, allows you to directly upgrade to 2013 from any previous version of SharePoint, and works back and forth between on premise and the cloud. StoragePoint, allows organizations to slash storage cost, boost speed, and simplify backup, giving your SQL servers a break. Move BLOBs outside of SQL server and shrink databases by up to 95%. Metalogix Replicator provides 100% uptime and 100% collaboration, while Metalogix’s Selective Restore Manager allows you to recover SharePoint content and critical metadata without the need of duplicating your entire SharePoint environment. 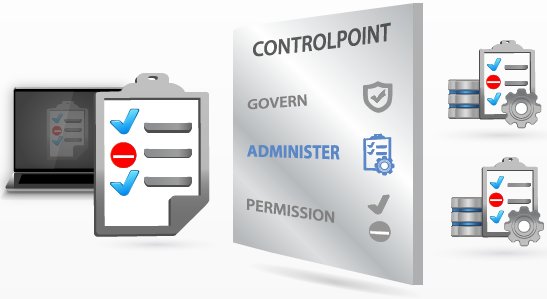 ControlPoint, the premier governance tool, empowers institutions to take control of their SharePoint environment. With the ever widening adoption of SharePoint by institutions, maintaining a governed environment is a greater challenge than ever. With ControlPoint you will gain unprecedented control of your environment while driving down internal overhead and the expense of IT administration while helping drive user adoption. Gig Werks can help you determine the logistics behind your migration and storage needs, offer training and consulting services in regards to best practices, and assist in the deployment. Below is an overview of the Metalogix product set for upgrading, migrating, organizing, storing, archiving and replicating content on Microsoft SharePoint, Exchange and Cloud. Contact the SharePoint and Metalogix experts at Gig Werks with any questions or inquiries. Content Matrix 6.0 is the evolution of the award-winning Migration Manager for SharePoint. It provides one-hop, high-speed and high-fidelity migration of content from any previous version of SharePoint at speeds 25 times faster than other 3rd party migration vendors. Users can identify existing content, build out a new site structure and move content when, where and how they prefer. Instantly take advantage of new SharePoint 2013 functionality by directly upgrading from any previous version of SharePoint. Microsoft SharePoint 2013 upgrade tools have basic support for upgrading SharePoint 2010 and do not support upgrading from SharePoint 2003 and 2007. Content Matrix 6.0 removes this limitation and provides comprehensive support for upgrading to SharePoint 2013 – from SharePoint 2003, 2007 or 2010. Rapidly consolidate all business content into SharePoint without losing context and metadata. Content Matrix 6.0 connects and moves terabytes of content from file shares, blogs, wikis, Exchange Public Folders, PST files, eRoom and websites. Content Matrix 6.0 moves the content, files, associated metadata and other relevant attributes such as permissions or information structure into SharePoint. Why make IT the bottleneck for keeping SharePoint organized? Content Matrix 6.0 allows SharePoint users to organize and manage their sites and content directly from within the SharePoint user interface. Users with appropriate permissions and rights can easily move, bulk upload, tag and classify their content within your SharePoint farm. 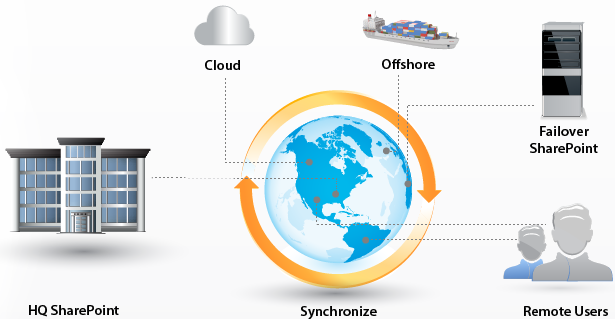 Metalogix Replicator for SharePoint synchronizes SharePoint content across geographically distributed SharePoint farms. Replicator gets the right content to different locations, makes SharePoint content highly available, and even works over poor network connections. Your SharePoint content – documents, sites, applications, security, workflows – gets closer to your users to avoid delays, boost performance, and increase SharePoint adoption. Use Replicator for uptime during power, system, or network failures and planned outages such as software or hardware refreshes. Get the right content to different divisions or locations. Keep your master content database at headquarters and choose how much or how little to sync with remote SharePoint farms. Pick any level of granularity from entire web applications to specific list items. Get targeted content to remote users in real time to make them more productive and use only the bandwidth required. Ensure SharePoint users in remote locations experience the same speed and performance as those at headquarters. Outages happen. Yet your content must always be “on” for customers, partners and employees. Setup a safety net by replicating content across multiple SharePoint farms. Give users continuous access to SharePoint even if any part of your environment fails. Use Replicator for uptime during power, system or network failures and planned outages such as software or hardware refreshes. Connect and synchronize two or more distant SharePoint farms in real time so your SharePoint content is always available and up to date. Your SharePoint content – documents, sites, applications, security, workflows – gets closer to your users to avoid delays, boost performance, and increase SharePoint adoption. Metalogix Selective Restore Manager is a simple, cost-effective solution that allows you to rapidly search, find and granularly restore SharePoint content from the item level up to a site collection and everything in between. You can restore content from native SQL Server backups quickly without the overhead of a lengthy SharePoint recovery farm setup. Selective Restore Manager allows you to avoid costly proprietary SharePoint backup products and be prepared to restore your lost or deleted content using a simple, intuitive user interface. Metalogix StoragePoint moves unstructured SharePoint data, also known as Binary Large Objects (BLOBs), outside of SharePoint’s SQL Server-based content databases on to virtually any type of external storage. This improves SharePoint performance and manageability, reduces storage costs and simplifies backup. Content files, or Binary Large Objects (BLOBs), such as presentations, PDFs and images weigh down SharePoint content databases. Externalizing BLOBs shrinks databases by up to 95% and bypasses SQL bottlenecks for BLOB I/O. Lean databases and fast content file I/O speed up SharePoint performance. StoragePoint allows you to move content from the database to external, less expensive storage tiers, including SAN, NAS, CAS, or even Cloud. Keeping content in the database requires acquiring lots of database storage just to keep up with content growth. Storage costs skyrocket since database storage can cost at least five times more than other storage. Let StoragePoint do the hard work of constantly optimizing content storage for cost and performance. You set up the rules for where to store content based on frequency of access, age, version and metadata. StoragePoint does the rest. It constantly monitors content files and automatically moves them to the appropriate storage tier based on your rules. StoragePoint automatically and continuously backs up BLOBs. And since StoragePoint shrinks Content Databases by up to 95%, SharePoint can be backed up within minutes instead of hours. 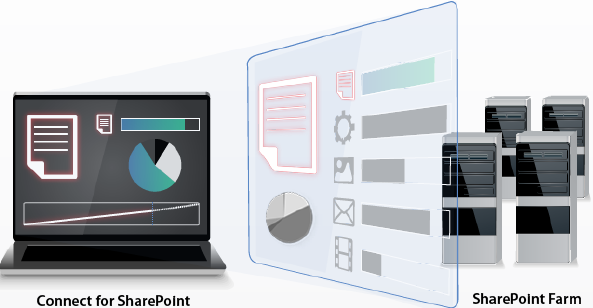 StoragePoint also includes granular restore capabilities that work with free, out-of-the-box back up tools like SharePoint Central Administration backup. 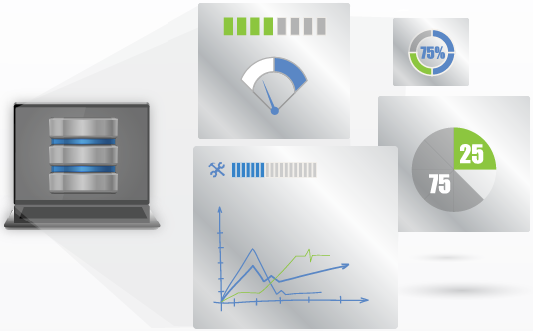 Diagnostic Manager installs quickly, enabling instantaneous performance access to any page. A typical installation takes less than 30 minutes. The intuitive user interface makes identifying problems within your farms and across your network simple. There’s no script development involved. Take advantage of built-in default options to start monitoring your SharePoint servers immediately. Diagnostic Manager provides all the SQL Server insight you need, including configuration options and database fragmentation. See how your databases are allocated across drives and perform capacity planning using data and log file growth trends. Quickly diagnose page performance with a powerful collection of page control elements that clearly differentiates page loading, execution, or rendering of individual page elements. Also, identify the worst performing HTML controls, web parts and web controls by quickly analyzing their load time, size and type. Connect for SharePoint lets a SharePoint farm administrator easily explore and compare SharePoint farms with a visual hierarchy that gives you a summary of the structure and layout. Unlike SharePoint Central Administration, get perspective over multiple sites or farms at once. Quickly analyze your content in different applications to identify missing columns, content types, features, documents, and site permissions. Even compare items across farms to find gaps in your content. SharePoint farms are rapidly growing due to increases in content creation and sharing. Get the insight your need to plan for this growth. Connect for SharePoint lets a SharePoint farm admin create “snapshots” of web applications to review structure and content and identify which databases are getting too large and out of control. Analyze the number of sites and site collections, lists, number of items in your folders, and even file sizes. Additionally, you can see which SharePoint features are installed. Connect for SharePoint helps you determine how SharePoint content is being used today, compare it to past patterns, and project how it will be used in the future. See what’s going on in your SharePoint environment to make informed decisions and avoid disastrous errors before you make upgrades or improvements. Connect for SharePoint provides visibility into applications, site sizes, security settings, and site structures. Compare the structure and content of your SharePoint web applications, site collections, web sites, and lists. Metalogix provides easy to use and cost effective archiving solutions for Exchange and File Shares. We deliver the enterprise class comprehensive management, storage optimization, eDiscovery, data retention, and PST consolidation features you need, without the complexity. Metalogix uses single-instance storage technology in every edition of its Archive Manager solution. Single-instance storage enables the automatic archival of only one instance of a document that has been saved multiple times – such as the same email attachment that has been sent to multiple people, or a presentation that has been stored in separate locations. When using multiple editions of Archive Manager Exchange and Files, federated search and single-instance storage can be performed across both environments to lower storage usage even further. Single-Instance files can be archived for greater storage efficiency using hierarchical storage management (HSM) where files with the lowest usage rates can be stored on less expensive storage systems.